The Global Positioning System (GPS) is a navigation and precise-positioning tool. Developed by the Department of Defense in 1973, GPS was originally designed to assist soldiers and military vehicles, planes, and ships in accurately determining their locations world-wide. Today, the uses of GPS have extended to include both the commercial and scientific worlds. 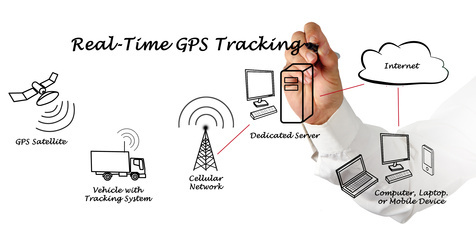 Commercially, GPS is used as a navigation and positioning tool in airplanes, boats, cars, and for almost all outdoor recreational activities such as hiking, fishing, and kayaking. In the scientific community, GPS plays an important role in the earth sciences. Meteorologists use it for weather forecasting and global climate studies; and geologists can use it as a highly accurate method of surveying and in earthquake studies to measure tectonic motions during and in between earthquakes.